Stop smoking hypnosis is by far the best way to quit smoking for good. Forget about stop smoking tablets and nicotine patches, talk to hypnotherapist Ian Smith at Quays Clinic today. Hypnotist Ian Smith is an award-winning therapist who has helped many of his clients to give up smoking for good. You can read some of the amazing hypnotherapy for smoking reviews which have been posted on Google Maps by many people who have given up smoking at Quays Clinic. For many people smoking cigarettes or tobacco is a bad habit. Smoking cigarettes is quickly becoming an antisocial behavior which is why more and more people are desperate to quit. There are countless ways to quit smoking. Its very important to find the best way for you to quit smoking. Do not be put off quitting smoking because you are told that its very hard to break the smoking habit. Smoking cessation is possible when people use stop smoking hypnosis. There are plenty of stop smoking programs being offered online. Many of these programs are not very successful. 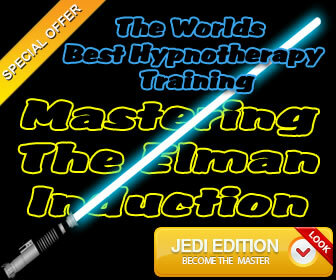 The most successful way to quit smoking is stop smoking hypnosis. There are also medicines one can take such as stop smoking pills which have been developed to break the constant urge of nicotine in your system. Many people discover that stop smoking pills are not very effective. You must be motivated to stop smoking. Its no good trying to quit smoking for other people. Quit smoking for the right reasons. Your family want you to quit. The doctor has told you to do so. You can even find a stop smoking kit suitable for you. These kits come with powerful information to help transform your way of thinking. Some include substitute stop smoking products such as nicotine gum and nicotine patches. They also offer a lot of reading material which also helps transforms the way you think about smoking. If a stop smoking kit doesn’t work for you then use stop smoking hypnosis at Quays Clinic. Hypnosis to quit smoking is a good option which can help you to quit smoking. Many people quickly discover that it really is the best way to quit smoking. Find a professional hypnotherapist like Ian Smith who will be able to help you quit smoking. Make sure that you check their hypnotherapy reviews to make sure that they have successfully helped other people to give up smoking for good. Make sure that their hypnotherapy reviews are verified by Google on Google Maps. Skeptical About Stop Smoking Hypnosis? Some people are skeptical about stop smoking hypnosis. That’s why it’s important to do some research about hypnotherapy for smoking cessation before booking a hypnotherapy appointment. Hypnotherapist Ian Smith will explain everything you need to know about stop smoking hypnosis which will help you to eliminate an doubts which you may have. You will quickly discover that the process of stop smoking hypnosis is really easy to use because hypnosis is a very natural phenomenon. If you need some help to quit smoking do not put off asking for help to quit. Quitting smoking will benefit you in many different ways. You never know you might even save your own life. People who use stop smoking hypnosis to give up smoking cigarettes quickly discover that hypnotherapy for smoking cessation helps them to improve their health and wellness. 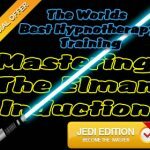 Talk to hypnotist Ian Smith today!